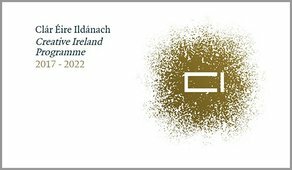 Minister Josepha Madigan has launched her Department’s‘€200m Audio-visual Action Plan’ at the IFI. Aspects of the plan included the consideration to extend the Section 481 tax relief, as well as increasing the expenditure ceiling, revising the regulations and extending the relief to Ireland’s games sector, A review by Screen Ireland of funding models for other countries’ film agencies, and Increased capital funding for the film sector including co-production and development funding, a specific fund for the development of films and TV drama, a fund for new Irish TV drama, a regional production fund and additional training of film workers and crew. Other key points mention in the plan included increased business skills development, matching of skills with production growth and partnering with third level institutions in skills development. An increase in marketing measures including measures to attract major computer games studios to Ireland, and implementing a steering group that will prioritise measures, oversee implementation and monitor risks, reporting regularly to Minister Madigan. “Today we start building on the success of the Irish audio-visual industry which has reached across the world. This year we had Nora Twomey's The Breadwinner, produced by Cartoon Saloon - an amazing Irish company with global reach – building on a strong run of successes at the Oscars and Cannes in recent years with films such as Room and The Lobster. We are also an attractive location for international productions – in recent years Star Wars has brought a new audience to the delights of our west coast. "Ireland has the creative talent, the storytelling and literary history, international credibility, geographic location and incentive structures to be a global leader, to tell compelling Irish and universal stories on screen, and to grow and sustain a vibrant creative audio-visual sector. Our Irish cultural heritage introduces Ireland on the world stage and allows us to express our national identity. Film in particular offers us a way to do that in very impactful way." “I particularly welcome the proposal for specific funds to support new TV drama production and regional production. My officials will continue to work closely with the Department of Culture and the Broadcasting Authority of Ireland to implement this exciting plan. Both the Audiovisual Action Plan and the Olsberg Report are available - here.